Fallout 76 was unveiled at the end of May following a 24-hour hype stream on Twitch. Many fans dreamed of a Fallout New Vegas 2 produced by Obsidian Entertainment. Others anticipated a Fallout 3 remaster or Nintendo Switch port. Instead, we got a whole new entry in the series, set soon after the Great War… with multiplayer. Having multiplayer isn’t a bad thing. I’d be lying if my friends and I had never envisioned ourselves exploring the nuclear wasteland in co-op. The game is apparently good fun in a group of friends messing around, and it’s cool to finally be together in Fallout. Sadly, Bethesda have made some big mistakes in the gameplay of their first online endeavour. Not only is it buggy and unpolished as detailed here, there are also some bizarre design decisions. In PvP for instance, you cannot easily kill another player unless you challenge them by shooting them and dealing miniscule damage, and once they accept by shooting back, you deal full damage. I appreciate the effort to avert griefing, however this gives the person getting attacked a distinctly unfair advantage. If shot at first and challenged, they can put on their power armour, take some damage increasing drugs, close the distance and then accept the challenge, meanwhile receiving negligible damage. Furthermore, there are almost no awards for killing someone in PvP. It’s weird. Another issue is the base building. 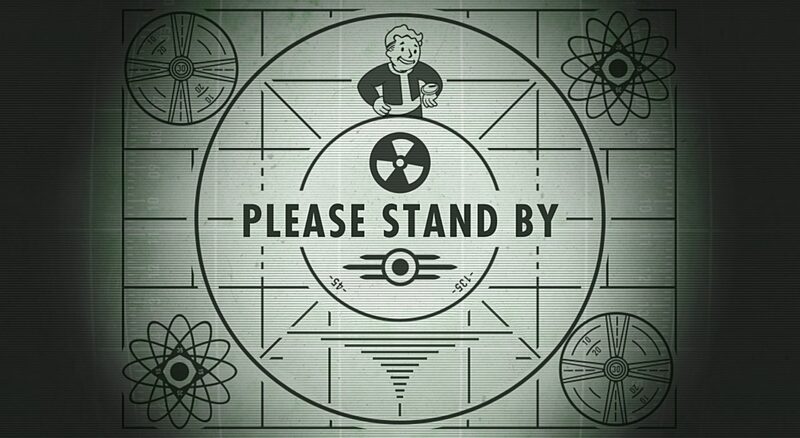 It was a good, significant addition to Fallout 4, but in Fallout 76 if you spend hours gathering resources and building a great base, then log off, all your work vanishes. This means there is basically no point building, other than perhaps some Fortnite­-style fortifications during a firefight. This makes the game essentially a dumbed-down version of Rust (which at least has persistent bases) and begs the question… why? My biggest gripe with Fallout 76 is Bethesda’s retconning and manipulation of long-established lore, particularly regarding the creation of super mutants and the Brotherhood of Steel. This shows clear disregard for the source material and just seems like a convenient way for these iconic factions to find their way into the game, even if that means bending the lore. There’s also the almost complete absence of any NPC characters in what is meant to be an RPG. Most quests are acquired from terminals and notes left on corpses or discovered in the world, creating a rather empty and soulless experience. Perhaps this is what they were going for, given it’s set in the aftermath of a nuclear apocalypse, but it does take away from the RPG experience. Fallout 4 was a fun albeit shallow RPG, and it seems like Fallout 76 has taken that shallowness even further. In summary, it seems Fallout 76 had reasonable ambitions but has resulted in a half-baked RPG-lite with some questionable design choices. Frankly, it reeks of low effort money grab, if I’m being honest. I’m interested to see how Bethesda responds to the slew of criticism for this game. A second bug-fixing patch of another 48GB has just rolled out, so it seems like they have a lot of work on their hands. Hopefully Starfield and Elder Scrolls VI are a return to form for Bethesda.